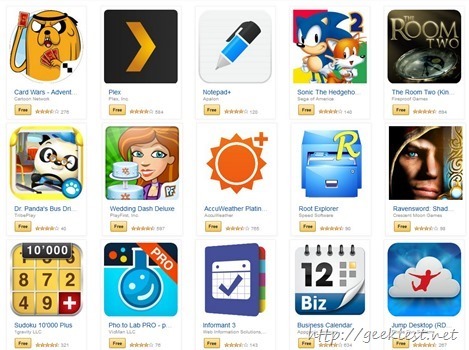 Amazon Appstore is giving away 31 Android applications for Free for just two days (Saturday – 28/06/2014 and Sunday 29-06-2014). 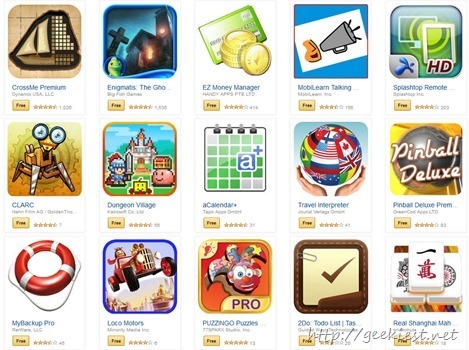 If you install Amazon Appstore on your device you can also get a paid application for free everyday. So if you are an Android user it is good to have Amazon Appstore installed. This include organizers, Calendars, games, file managers, Backup software etc. All together you will be receiving android applications worth $167.24. You can see the list of all 31 applications and get them for free from here. Go ahead and grab them all.